After graduating from Mercyhurst University with a degree in Interior Design, I hoped to find a job that would be both fulfilling and exciting – and I definitely found that in Closet Factory! Get matching hangers – it visually makes a big difference to have all your hangers matching in style and color. Cut pool noodles to fit inside your boots to give them shape and help them stand up straight. Group like-items together in color coordinated boxes with labels on them. It will give your closet continuity and visual calmness. 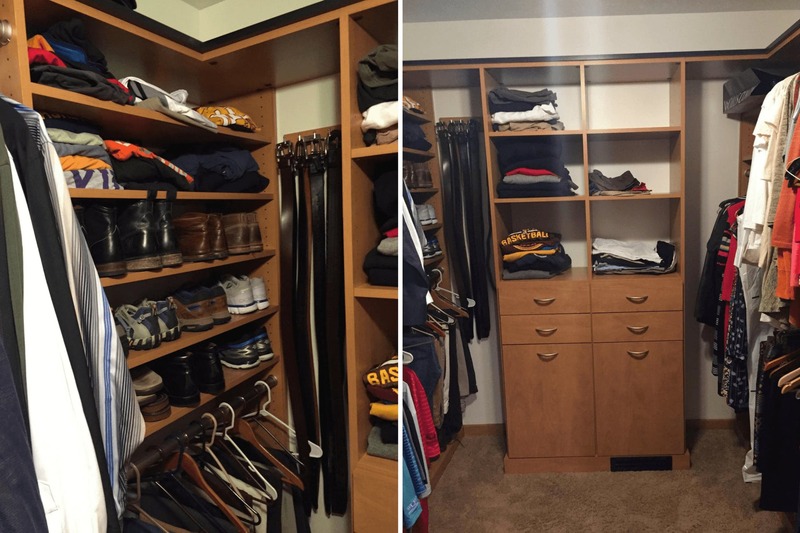 The first thing I think about when I initially see a client’s closet is the shape of the room itself, followed by an observation of underutilized or negative space, then finally the inventory itself. 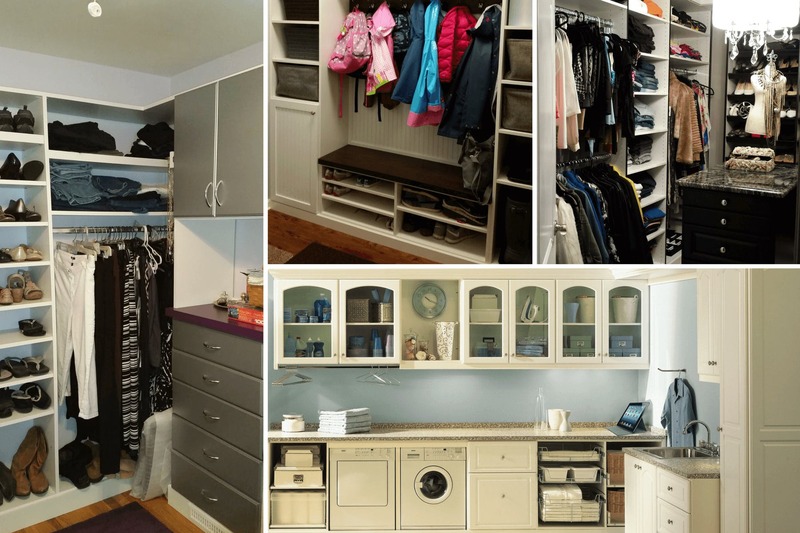 Once we create a layout for the closet based on the shape of the room and the client’s inventory, we can then determine the best way to maximize the organization of the closet! Angled ceilings are not a closet designers best friend, but with a combination of angled panels and beautiful trim details, I can take advantage of previously unused space and design a truly custom solution! 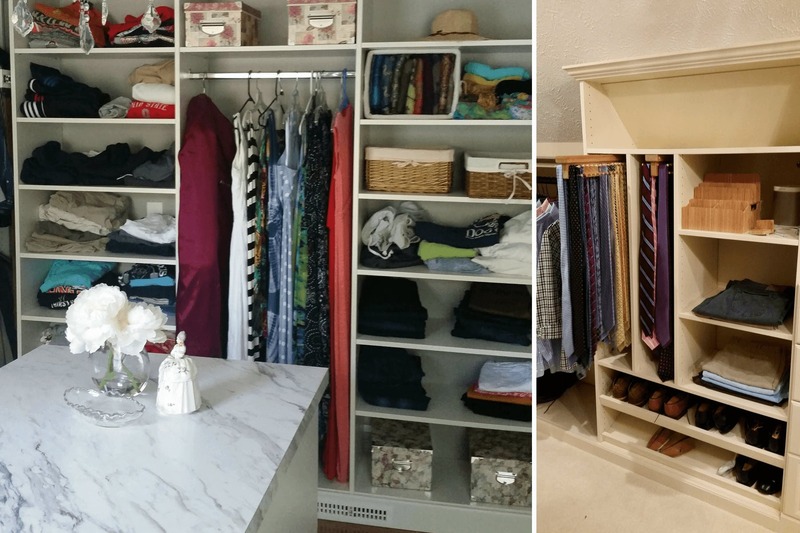 All my clients have my cell phone number – I’m always available for them to send me pictures and ideas of what they’re looking for in their dream closet. 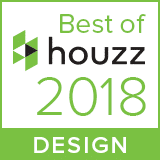 I also recommend they take advantage of online photo resources like Houzz and Pinterest to organize their favorite closet-inspiration pictures. 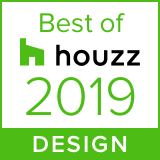 I’m always inspired by a home’s existing décor – whenever I look at a closet, I take design cues from its surroundings (painted or stained woodwork, design style, paint color, amount of bedroom furniture, etc.) and use it to help create a design that flows with the existing style and looks like part of the built-in architecture of the home. The right type of office configuration can make or break productivity. A custom designed desk can maximize efficiency by giving the user exactly what they need and nothing they don’t (perhaps lots of file drawers, bookcases, or multiple cubbies for sorting paper). No matter what a client does professionally, I can design a desk that will suit them perfectly! 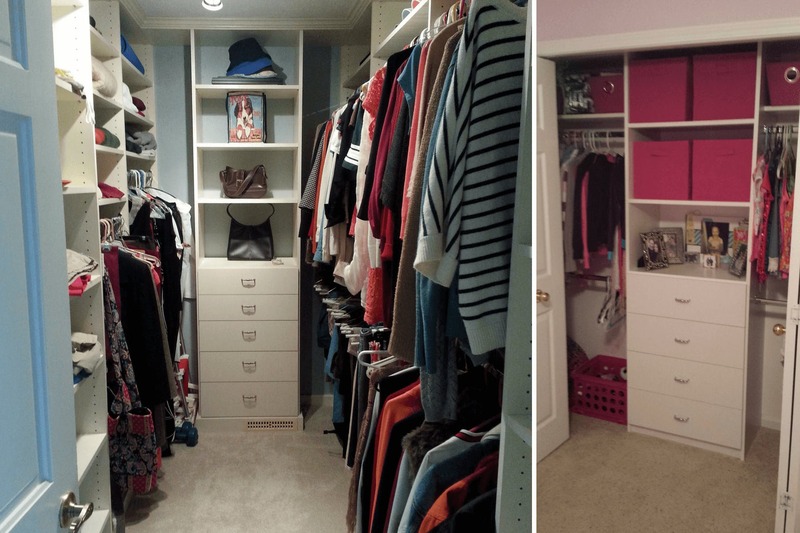 One of the modern organization trends that I love is incorporating color into a closet. 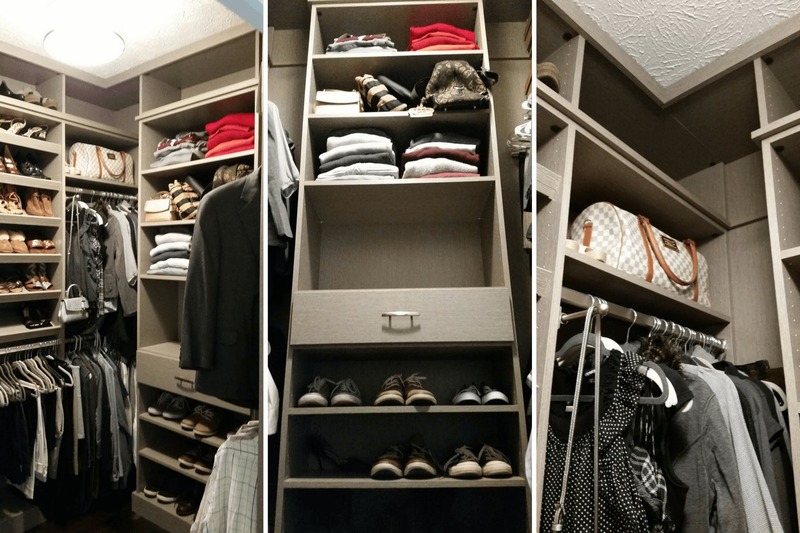 Whether it is purchasing pretty, hot pink velvet hangers, or selecting a purple accent countertop, or choosing coordinating canvas boxes, repetition and consistency give a closet style and personality. 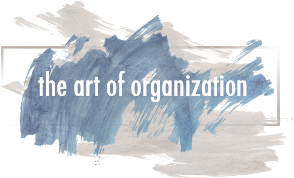 If you get tired of your accent color, simply switch it out and create a new look (while maintaining the same organization! ).